The president of the Afghanistan Football Federation (AFF) has been provisionally suspended from all football-related activities by FIFA. Keramuudin Karim has been banned for at least 90 days by the investigatory chamber of the independent Ethics Committee, the sanction coming amid allegations of sexual and physical abuse of the Afghanistan women's national team by AFF staff. Mr Karim and five members of the AFF have already been suspended by the country's attorney general following the accusations. 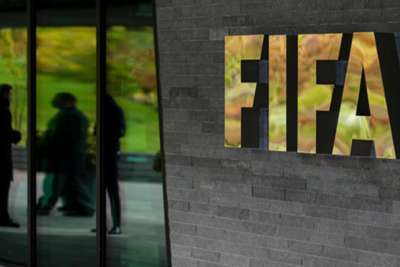 A FIFA statement read: "The investigatory chamber of the independent Ethics Committee has provisionally banned Mr Keramuudin Karim, president of the Afghanistan Football Federation (AFF), in accordance with article 84 of the FIFA Code of Ethics, from all football-related activities at both national and international level. "This provisional measure expires 90 days after its notification and may be extended pending proceedings on the merits of the case. "This sanction has been imposed in connection with ongoing investigations concerning AFF officials, as reported by local authorities and published by some media. "Mr Karim was notified of the decision today [Wednesday]. The provisional sanction comes into force immediately."